Fences make great enclosures for homes and yards, but over time fences can need basic repairs to stay in good shape. Sears Handyman Services offers professional fence repair and installation services. Our technicians can handle issues with a number of different styles of fencing, including chain link fences, privacy fences, and picket fences. To keep your fence in great shape throughout the year or to complete a necessary repair, you can contact a professional Sears Handyman. Our personnel have strong experience with outdoor repairs, maintenance, and construction—everything from fences to gazebos and decks. 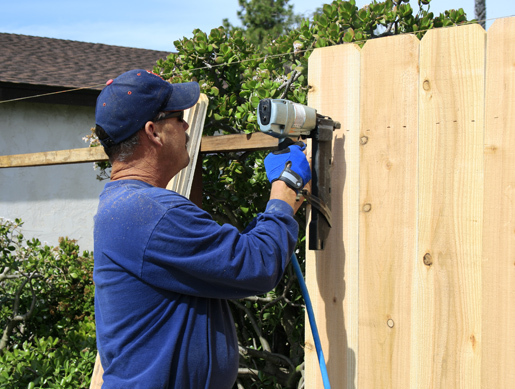 We’ll have your fence repaired and looking great in no time. Just like your deck, the wood panels of your privacy fence need to be protected from the elements. Without treatment, wood boards and panels may succumb to wood rot, a condition that occurs when precipitation encounters unprotected wood and begins to change the chemical composition of the wood itself. This results in the wood becoming discolored, brittle, and vulnerable. 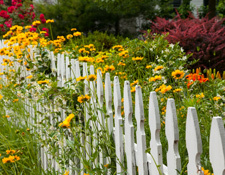 Fences make yards and homes look great, but fences look even better when painted. Whether you want the classic look of a white picket fence, a darker wood color, or something that matches your home’s paint, the perfect fence is just a phone call away. Fence painting can be a lengthy and laborious process, and many homeowners prefer to hire a professional. Sears Handyman technicians have experience painting several home surfaces and fixtures, everything from interior walls to outdoor siding and fences. 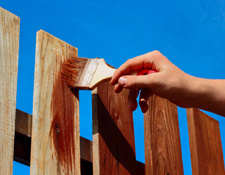 Give Sears Handyman a call to schedule your fence painting at a time convenient to you. Our associates will discuss paint options and make sure you get the color you want, and your fence will be looking great in no time. Chain link fences provide a functional, economical fencing option that can be quickly installed and require little or no maintenance. Sometimes, though, chain-link fences can have problems that need repaired. It may be that your energetic dog has dislodged the chain from the post or that backyard animals have made a hole; in any event, when you have a damaged chain-link fence, you’ll need it repaired to ensure it remains practical. 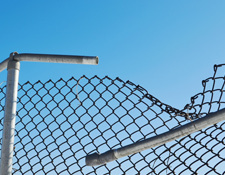 Chain link fence repairs require certain parts of the fence to be disassembled so existing fencing can be reattached or new chain can be installed in the place of damaged chain. Chain link fence repairs can be tricky, so if you need help with your fence, you can call a Sears Handyman for assistance. Our handyman professionals know their way around fence installation and repairs, and they can handle both wood fence repairs and chain-link repairs. Call Sears Handyman today and get your chain-link fence back up.